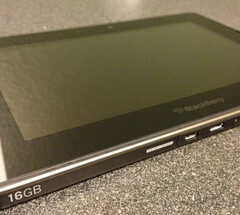 RIM has pulled off the production of the 16GB PlayBook model. The remaining stocks in the market are the last to be seen in the market, as after that Research in Motion will not produce the 16GB PlayBook anymore. The Canadian mobile company has also mentioned that they will continue to remain committed to the tablet space and the 32GB and 64GB models of the BlackBerry PlayBook continue to be available from their distributors and retailers around the world. Earlier when RIM first launched the PlayBook they were a bit over priced and were quite equal to the iPad 2 models, which were already selling at a very high rate. Later after they couldn’t make a healthy business they had to reduce the price of their devices. However, the main problem with their Playbooks was they shipped without any native email and calendar application. The Application store of BlackBerry also had very less applications as compared to that of the iOS Store and Android Market. The price of this 16GB model is around $199 which resembles the Kindle Fire’s price. So we may guess the fate of the 16GB model of PlayBook. Both the devices were also at the same size so it seems like it has not been able to make a good impression in the market and was not a very good competition for the Amazons Kindle Fire Tablets. However as this product is already on halt in production so if you like to have one for you then this is the last chance for you to grab the device. The device is currently on sale in Best Buy priced at $199.